Winter is here and we are making use of one if the more simple products we have designed. 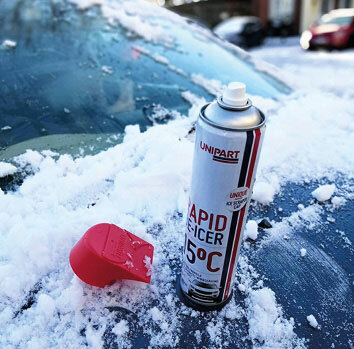 However there are always challenges to implementing innovation, even for a simple concept, like adding an ice scrapper to the cap of the deicer spray. Have a read here of our ice scrapper case study for insight into those 'invisible' challenges and what we do to solve them. What next for your invention – Plan, Prototype or Protect?